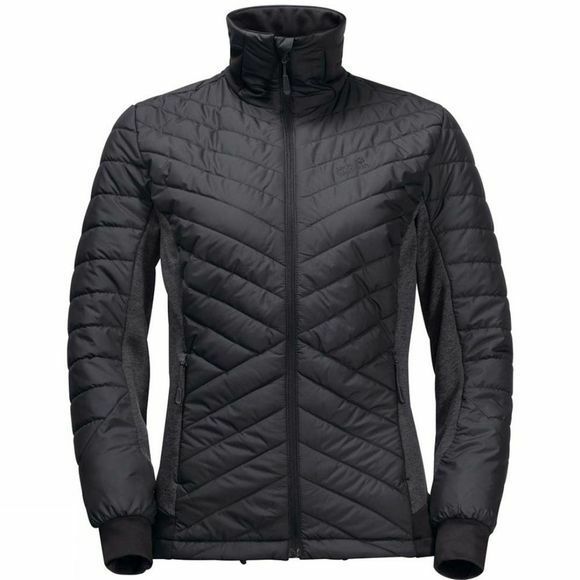 The Womens Lyse Valley Jacket from Jack Wolfskin gives you the warmth and mobility you need when you're active Outdoors In Winter. The Functional Microguard Maxloft Insulation is warm even when wet and is very fast drying. Stretch panels on the sides and sleeves ensure full freedom of moveMent.The outer fabric of this Hybrid Jacket shuts out the Wind and rain and has a pleasantly soft feel.